One of the Riviera Maya’s premier scuba diving sites, Tormentos Reef is located off the coast of Cozumel and houses a rich variety of marine life. Here you can find purple and orange coral structures upward of 30 feet (9 meters) in height, tunnels hiding nurse sharks and sea turtles, and huge manta rays nestled in the sand. With a depth of roughly 50 feet (15 meters), strong currents, and numerous tunnels, Tormentos Reef is classified as an intermediate-level scuba-diving site. Diving tours typically leave from Cancun or Cozumel, often visiting other dive sites along with Tormentos Reef such as Palancar Gardens, the Santa Rosa Wall, or La Herradura. Round-trip transportation to the reef, lunch, and diving equipment are provided on some tours. Tormentos Reef is a must-see attraction for wildlife lovers and scuba divers. Remember to bring sun protection, a swimsuit, and plenty of water. It’s a good idea to wear a wetsuit or rash guard while diving or snorkeling to protect against the sun, jellyfish, and rough coral surfaces. The current at Tormentos Reef is strong, so plan your air accordingly for dives. Evidence of dive certification is required to participate in certified dives. Tormentos Reef is located off the island of Cozumel near Mexico’s Yucatan Peninsula. To get there, you can opt for a private charter boat or a guided tour. You can visit Tormentos Reef year-round, but it’s busiest from December through April, when the weather tends to be sunny and warm. There are fewer crowds during hurricane season (May through October), but be sure to check the weather for storms. 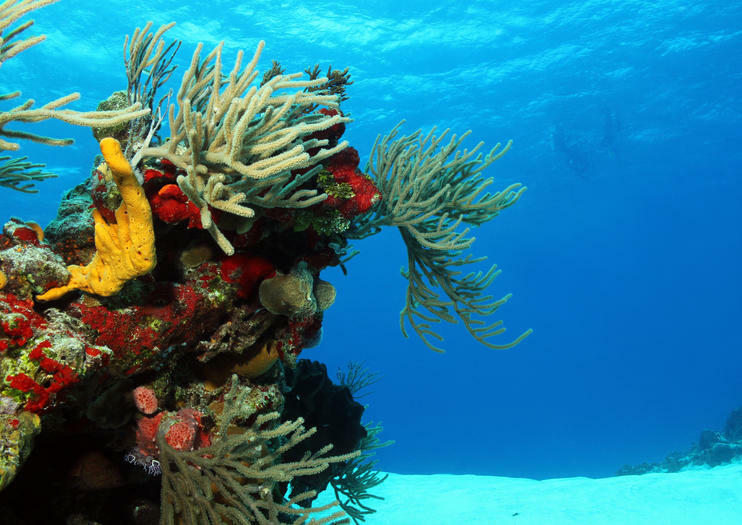 Cozumel is best known for its expansive coral reefs, some of the largest in the world. Paradise Reef and the Palancar Gardens are ideal spots for novice divers and snorkelers due to their shallow depth, and offer a chance to glimpse sea turtles, moray eels, colorful fish, towering coral spires, and gently waving sea fans. The Palancar Caves are probably the most famous dive site, with huge brain corals and swim-through tunnels. The Palancar Horseshoe is another massive formation of corals.